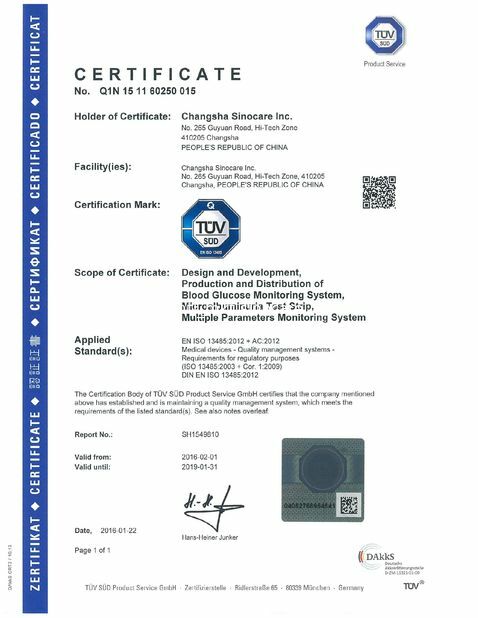 The Safe-Accu Blood Glucose Monitoring system is intended for use outside the body(in vitro diagnostic use) and should not be used for the diagnosis of or screening of diabetes. 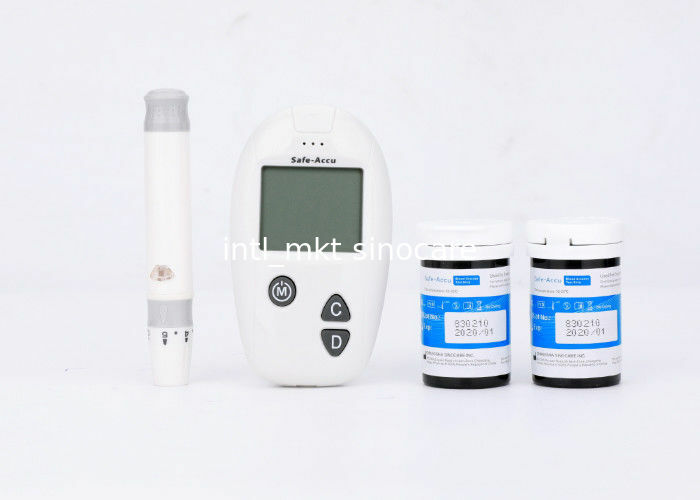 The Safe-Accu Blood Glucose Test Strip is intended to be used with the Safe-Accu Blood Glucose Meter to quantitatively measure glucose(sugar) in capillary whole blood samples drawn from the fingertips or venous whole blood samples. 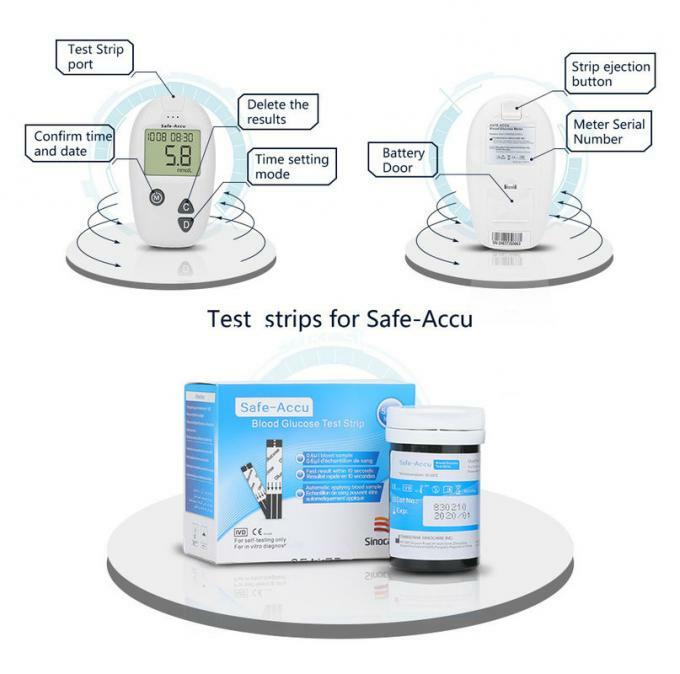 The Safe-Accu Blood Glucose Test Strip is intended for use by people with diabetes mellitus in the home and by healthcare professionals in clinical setting as an aid in monitoring the effectiveness of diabetes control. Please do not use iodine for disinfection. 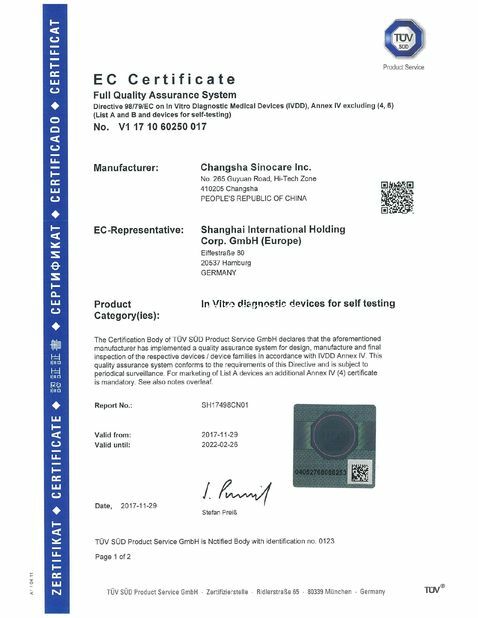 World NO.6 largest BGMS company. Branch offices or subsidiaries in US, India, Hong Kong and Taiwan. More than 2,600 employees globally.